Fire Direct, a privately owned and operated business specialising in providing Fire Safety and Emergency Procedures training and services. Fire Direct staff have over 30 years operational experience in the emergency services and I have an extensive knowledge of fire protection and safety standards, individual building code requirements and safe working practices for all evacuation procedures. 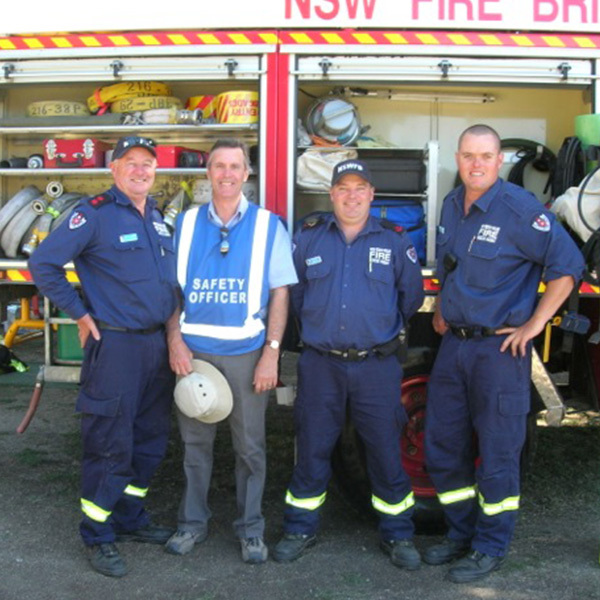 Fire Direct has been contracted since 2006 acting in the role of Safety Officer for the Royal National Canberra Agricultural Society’s Show. Including other interstate events. All training is tailored to meet your specific business requirements and is conducted in accordance with the Australian Standard AS3745– 2010 Emergency Procedures for Facilities, and regulatory Work Health and Safety requirements. Fire Direct current clients include State and Federal Government agencies, Sports Stadiums, industrial and commercial industries, high rise buildings, schools, nursing homes, residential and aged care establishments. Should you require any additional information, please contact me to discuss your requirements. Proprietor of Fire Direct, John Whittle has fulfilled the requirements for Certificate IV in Assessment and Workplace Training National Code Certificate Number TAE 04110. Certificate IV in Security and Risk Management CPP40707 National Code Certificate Number 88182-09/303. Mr. Whittle is fully qualified Fire Brigade Station Officer, he has completed a number of professional training courses relating to the Fire Protection Industry. He has also fully qualified as an instructor in the wearing of breathing apparatus to National Code PUA30601. Provide training to building occupants in relation to emergency evacuation procedures, safe use of portable fire extinguisher, fire warden roles and responsibilities etc. We believe that our experience, commitment and long term involvement with the ACT Fire Brigade and Fire Protection Industry has demonstrated our capability to comply with the proposed requirements and capacity to provide professional and effective training for personnel. Our pricing is competitive and we are flexible in our training methods. We tailor courses to suit our client’s needs. Fire Direct is proud to support our local community services in the ACT. We supply the RSPCA with Warden hats, evacuation plans, training, fire extinguishers and blackets and evacuation procedure diagrams at no cost. We also support the Movember (Men's health) charity event.